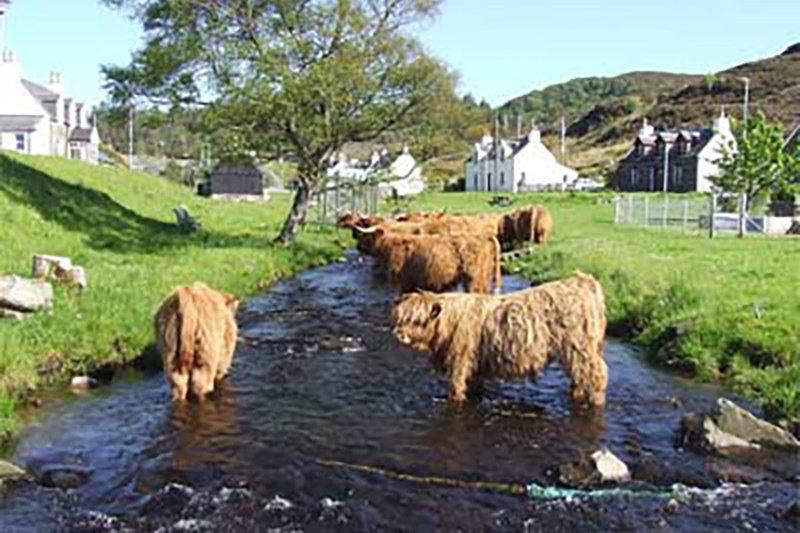 Situated on a working croft with Highland cattle in Duirinish, a quiet attractive crofting township, midway between Kyle of Lochalsh and the village of Plockton, affording beautiful views over the Sound of Raasay to the romantic Isle of Skye. 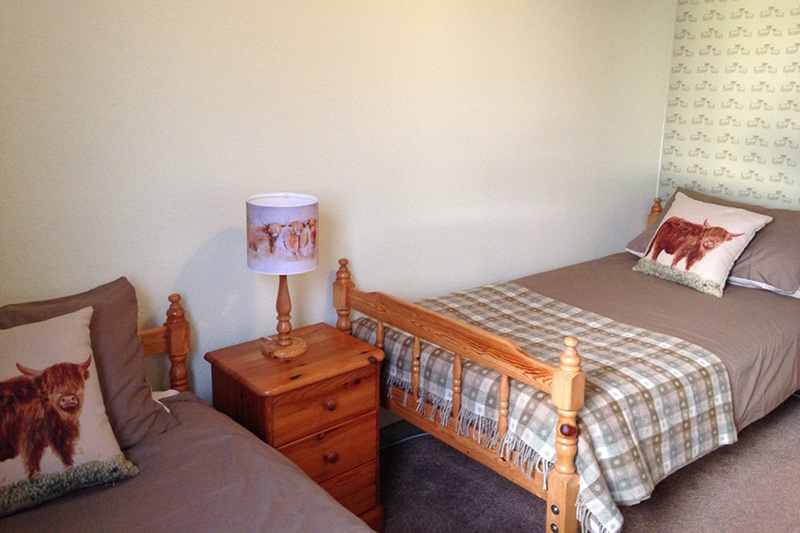 We have 1 twin with private facilities and 2 double rooms both en-suite. We are open year-round and charge £40 per person per night. This price drops to £30 per person per night when staying 2 nights and over. The rooms all have colour TV, radio alarms, tea & coffee making facilities, hair dryer. We are no smoking.